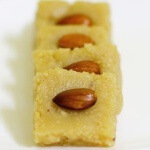 In the festivals of India, sweets are very common thing for every home and if you are thinking of making them at home try this delicious Khoya Kaju ki Barfi, and your guests and family will surely compliment you. 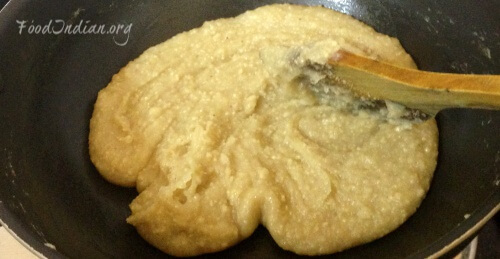 Heat a heavy bottom pan, add milk and grated khoya at the same time. Stir them well on a low heat. Now add sugar, mix well and stir continuously . 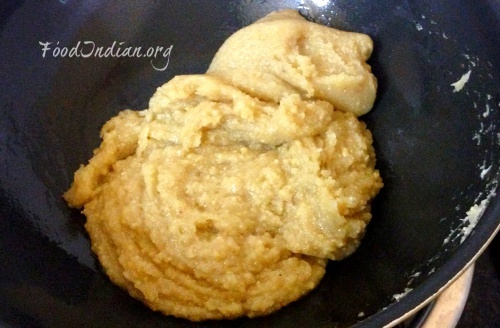 When the sugar and khoya desolves into milk and makes a paste like consistency add powdered cashew nuts, cardamom powder and stir constantly. 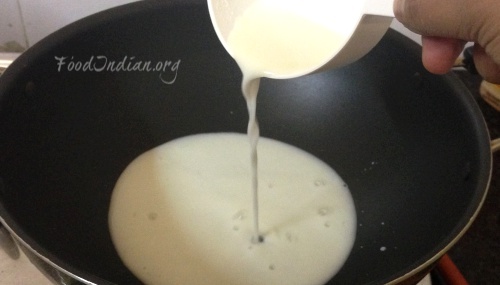 After few minutes you can see the mixture leaving oil and does not sticking to the edges of the pan, your mixture is ready. 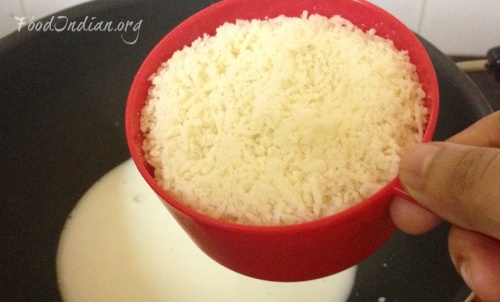 Now take a plate and put the mixture over it. 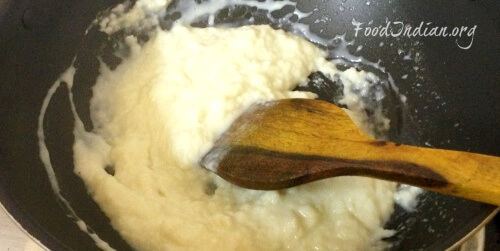 Flatten the mixture with a spatula and even the edges. 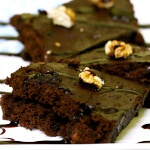 Garnish with almonds and let it cool for 2 hours. Now carefully cut them into square pieces and separate them. 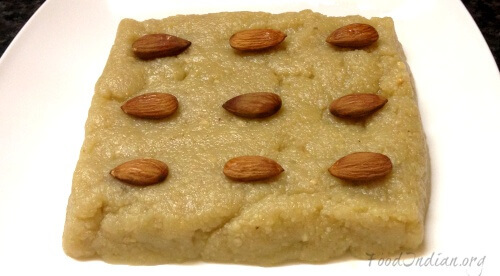 Your Khoya Kaju Barfi is ready to serve. 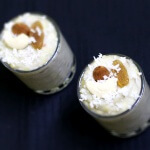 Serve your Barfi cold, and you can also refrigerate them for 4 – 5 days.